QLY25BT harbor crane is the product that’s technology comes from IHI Construction Machinery Ltd. Of Japan, and manufactured under the license of IHI. 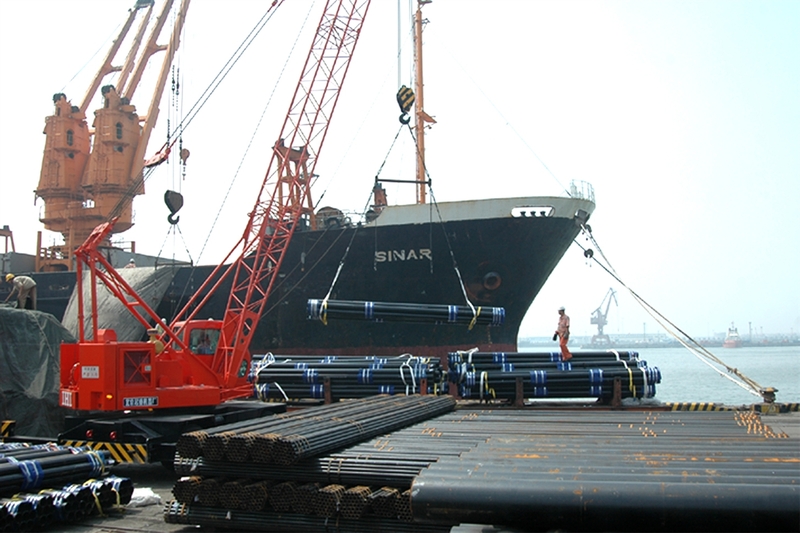 It is a 25t heavy duty mobile crane with fully hydraulic power drive, lattice boom and continuous 360-full circle swing, specially designed for harbor working conditions. The crane equipped with a one-man cab mounted on the superstructure, and designed for high performance of crane operation, convenient controls, sturdy and durable. The lattice boom is modified according to heavy duty operation and has a high stability and travel performance. All of the main components are imported, including engine, pumps, motors, valves, clutch, brakes and components of air circuit and electrical system.Two variable displacement pumps and three gear pumps are driven by a water cooled six-cylinder diesel engine, providing hydraulic power for crane operation and control system. Hoist, derricking and swing are driven separately by its hydraulic motor through gear box. They can be operated independently or combined operation .The hoist winch is controlled by power fall or free fall to increase productivity. The driven type of carrier is 4×2 with front axle as steering axle and rear axle as driving .A variable piston motor propels the rear axle through two-stage gear reducer, so the crane has a high gradeability.